If you’ve had the pleasure of experiencing the scent of Himalayan cedarwood essential oil, you likely love it as I do. I was doing some research on the essential oil, which led to learning about the tree it comes from, the Himalayan cedarwood or Cedrus Deodāra. It’s native to the Himalayan mountains, from eastern Afghanistan to northwestern India. Worshipped as a divine tree, it’s known as “Wood of the Gods.” The name comes from the Sanskrit term, ‘Devadāru.’ Deva meaning divine or God; dāru meaning wood and tree. According to Hindu mythology, Kamadeva, the god of love, struck the formidable Lord Shiva with an arrow as he meditated under a deodāra tree. His intention was having Shiva fall in love with Parvati. While Shiva did become enamored with Parvati, he was taken aback at his own sudden change in behavior. 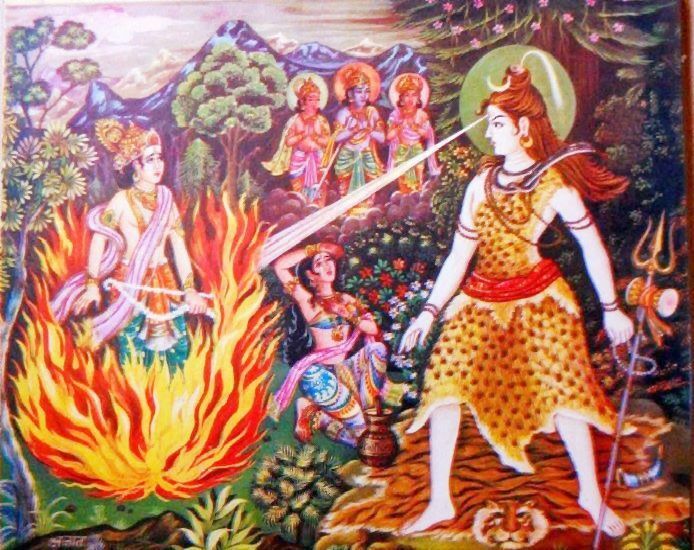 Shiva became angry, realizing his ardor was due to Kamadeva’s arrow. He searched him out, opened his third eye and reduced Kamadeva to ashes. The full version of the story is here. Because of this legend, the Himalayan cedar tree remains closely connected with the worship of Shiva in the Himalayas. I thought you might enjoy this interesting story behind the tree and the essential oil that comes from it. P.S. Himalayan cedarwood offer coming soon! Stay tuned!